Thought you had escaped from the 1980’s balloon arch? What about the horrid “balloon drop” that haunted events for almost a decade? Don’t be so quick to dismiss the balloon as a decorative tool! Check out this fabulous installation for an event hosted by The Art Institute of Chicago. 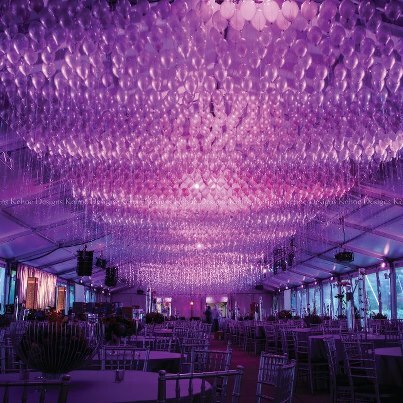 The entire ceiling was covered with clear balloons and white ribbon hanging down just above guests reach. 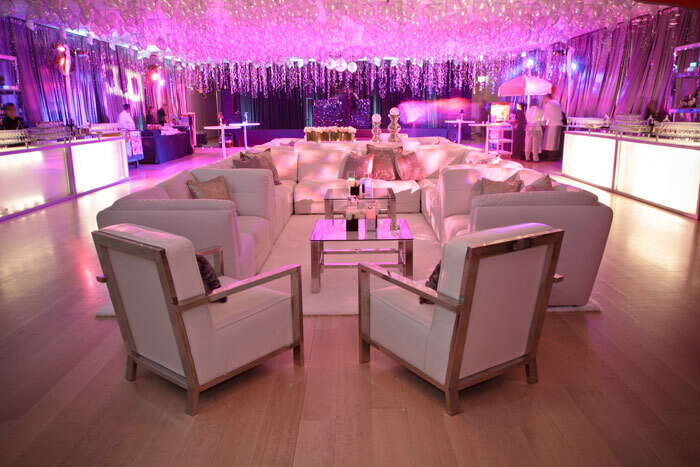 LED lighting played well off of the balloons and cast a warm glow over the stark white lounge furniture. Sitting Pretty: Glowing Neon Chairs!